The Haramain High Speed Rail project also known as the "Western Railway" or "Makkah-Medina high speed railway", is a 453.0 kilometres (281.5 mi) (449.2 kilometres of main line, plus a branch connection to KAIA airport: 3.75) high-speed inter-city rail transport system under construction in Saudi Arabia. It will link the Muslim holy cities of Medina and Mecca via King Abdullah Economic City, Rabigh, Jeddah, and King Abdulaziz International Airport. It will connect with the national network at Jeddah. The project is over two years late and was originally planned to open in 2012. As of August 2014, the Medina to Rabigh section is scheduled for services by the end of 2015, suggesting a phased opening. The double-track line will be electrified and the design speed is 320 kilometres per hour (200 mph). Trains will run in service at 300 kilometres per hour (190 mph), and travelling the 78 kilometres (48 mi) between Jeddah and Makkah will take less than half an hour, while the 410 kilometres (250 mi) between Jeddah and Medina will take about 2 hours. The track, rolling stock and stations are designed to handle the temperatures ranging from 0 °C (32 °F) to 50 °C (122 °F). The Makkah Central Station will be located near the 3rd Ring Road. The Jeddah Central Station will be located on the Haramain Road. The railway alignment route will be on the median of the Haramain road. The Station in KAIA will be a terminus station. Medina will have only one passenger station. A station may be required for the Hajj Terminal at Jeddah Airport. According to Saudi Railways Organization the stations will be "aesthetically iconic" buildings with designs which take into account Islamic architectural traditions. They will have shops, restaurants, mosques, car parking, a helipad and VIP lounges. Stations were designed by Buro Happold and Foster + Partners. 36 Talgo 350 SRO trains have been ordered, one of this is a VIP Dual (hybrid) to the Saudi royal family for up to 20 or 30 people; they will run at 300 km/h. The propulsion and bogies would be made at Bombardier factories in Spain. The 6.79 billion riyal (US$1.8 billion) design and construction contract for Phase I Package 1 – Civil Works for the project was awarded in March 2009 to Al Rajhi Alliance, which comprises China Railway Construction Corporation (CRCC), Al Arrab Contracting Company Ltd, Al Suwailem Company and the French power and rolling stock company Alstom Transport. It is cooperating with the consultant Saudi Consolidated Engineering Company (Khatib & Alami - K&A). Scott Wilson Group will provide project management support. Phase I Package 2 covers construction of four of the five stations. In April 2009, $38 million worth of design contracts for the stations in Makkah, Madinah, Jeddah and King Abdul Aziz Airport were awarded to a joint venture between Foster + Partners and Buro Happold. In February 2011 the station construction contracts were awarded to Joint Venture between Saudi Oger Ltd & El Seif Engineering for (KAEC (Rabigh) & Jeddah Stations), Saudi Bin laden (Makkah Station) and a Turkish Company "Yapi Merkezi" for Madinah Station. Phase 2 of the project includes the remaining infrastructure not included in Phase-1: track, signalling, telecommunications, power, electrification, etc. It also includes procurement of rolling stock and operations and maintenance for a period of 12 years after completion. On 26 October 2011,at the Saudi Railways Organization announced that the Saudi-Spanish consortium Al‑Shoula Group, which includes Talgo, Renfe, Adif, Copasa, Imathia, Consultrans, Ineco, Cobra, Indra, Dimetronic, Inabensa, OHL, AL-Shoula and Al-Rosan, had been chosen for the contract. Talgo will supply 35 Talgo 350 trains similar to 102/112 series used on Spanish high-speed lines for EUR 1.257 billion, 1.600 with maintenance	and an option for 23 more for 800 millions. They differ from the 112 series with 13 cars to 417 seats Renfe and Adif will operate the trains and manage the line for 12 years. The total contract value is EUR 6.736 billion (approximately US$9.4 billion). 1 2 "Testing set to begin on Saudi High Speed Line. IRJ". ↑ "Maps and diagrams in Spanish. Colegio ICPP de Madrid" (PDF). 1 2 3 4 5 "Spanish consortium wins Haramain High Speed Rail contract". Railway Gazette International. 2011-10-26. 1 2 "Haramain High Speed Rail Project, Saudi Arabia". railway-technology.com. Net Resources International, a trading division of SPG Media Limited. 2010. Retrieved 27 February 2010. 1 2 3 4 "Al Rajhi wins Makkah – Madinah civils contract". Railway Gazette International. 2009-02-09. ↑ "Saudi bidding hots up". Railway Gazette International. 2008-03-10. 1 2 "Project brief". Saudi Railways Expansion Programme. ↑ "Proyecto Meca-Medina Asamblea de la PTFE" (PDF). ↑ "Phase 1 (Package 2) – Stations". Saudi Railways Expansion Programme. Saudi Railways Organization. Retrieved 26 February 2010. 1 2 "High speed stations for a high speed railway". Railway Gazette International. 2009-04-23. 1 2 3 "Haramain High Speed Rail station construction contracts signed". Railway Gazette International. 2011-02-16. ↑ "SRO web Haramain High Speed Rail Project". ↑ "Bombardier to supply components for Haramain High Speed Rail trains - Railway Gazette". Railway Gazette International. Retrieved 24 September 2012. ↑ "Haramain High Speed Rail project manager appointed". Railway Gazette International. 2010-01-06. ↑ "Foster + Partners and Buro Happold joint venture to design four stations for Saudi Arabia's new Haramain High-speed Railway". Foster and Partners. 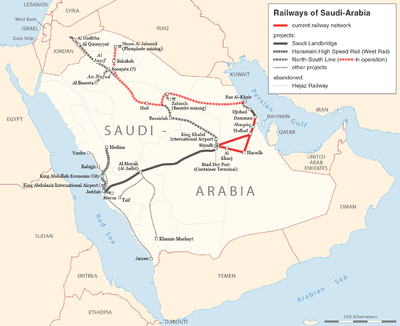 ↑ "Joint venture to design four stations for Saudi Arabia's new high speed railway". Buro Happold. ↑ "Phase 2". Saudi Railways Expansion Programme. 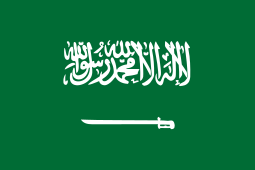 Saudi Railways Organization. Retrieved 26 February 2010. ↑ "ADIF participation in phase 2.". Retrieved 29 May 2011. ↑ "Adjudicado al consorcio español el contrato de alta velocidad en Arabia Saudí" (in Spanish). Retrieved 26 October 2011. ↑ "Talgo se adjudica el contrato de Arabia. Patentes Talgo". ↑ "Page 188 Mario Oriol from Talgo in UIMP Seminary" (PDF). ↑ "Un consorcio español logra el AVE La Meca-Medina por 6.736 millones" (in Spanish). Europa Press. 26 October 2011.